Marine | MOA Instrumentation, Inc.
A metal is a material that, when freshly prepared, polished, or fractured, shows a lustrous appearance, and conducts electricity and heat relatively well. Metals are typically malleable and/or ductile. 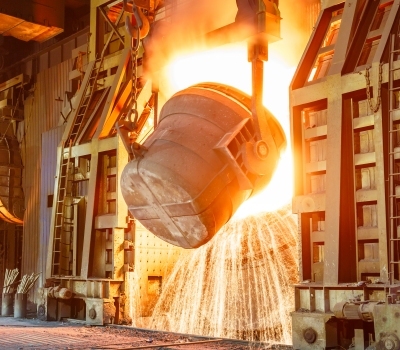 A metal may be a chemical element such as iron, or an alloy such as stainless steel. A variety of analysis techniques are used for metals and alloys to determine the alloy composition to verify conformance or to identify an alloy. Quantitative chemical analysis may be performed several ways, but spark optical emission spectroscopy (Spark OES) is most widely used. Spark OES can be performed with only minimal surface damage if the specimen size configuration allow the part to fit into the instrument without cutting. 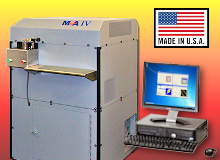 MOA II Plus meets the performance requirements of U.S. DOD specifi-cation MIL-S-83129A as well as T.O. 33-1-37-3, TM 38-301-3 and NAVAIR 17-15-50.3 monitoring programs. New! 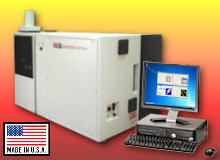 MOA III meets the performance requirements of U.S. DOD specification MIL-S-83129A as well as T.O. 33-1-37-3, TM 38-301-3 and NAVAIR 17-15-50.3 monitoring. 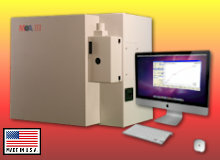 MOA IV spark emission spectrometer has been designed to provide the best accuracy and precision for all metals on the same instrument for every element. From parts for your system, repair, installation or providing expert technical support, MOA places the highest priority on customer service. MultiPurposeCopyright © 2014-2018 - MOA Instrumentation, Inc. | All rights reserved.